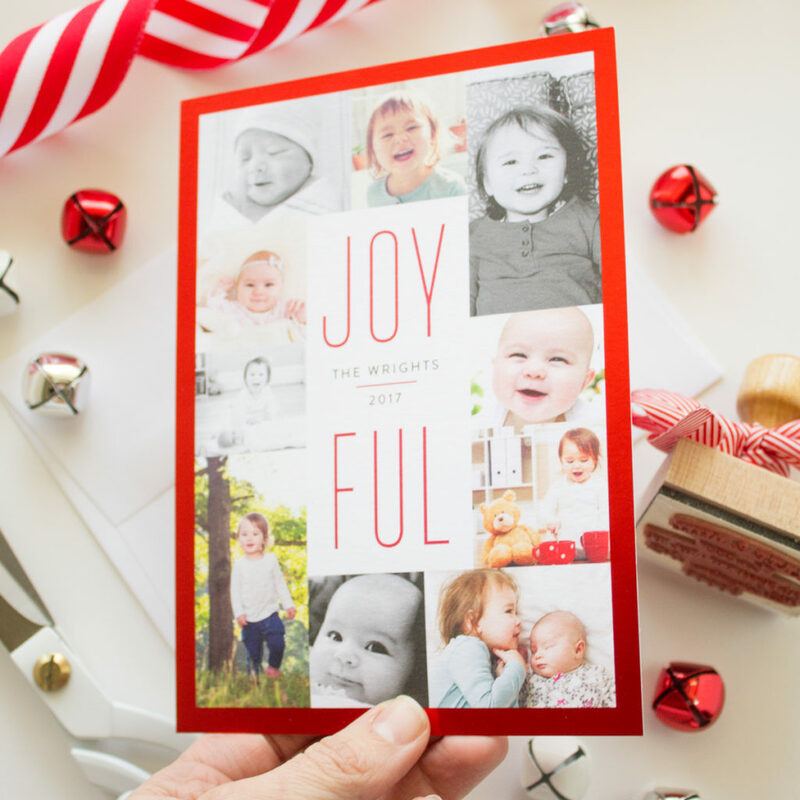 Celebrating a baby’s first Christmas is such a joyful occasion! Share your joy (and photos of your newborn!) 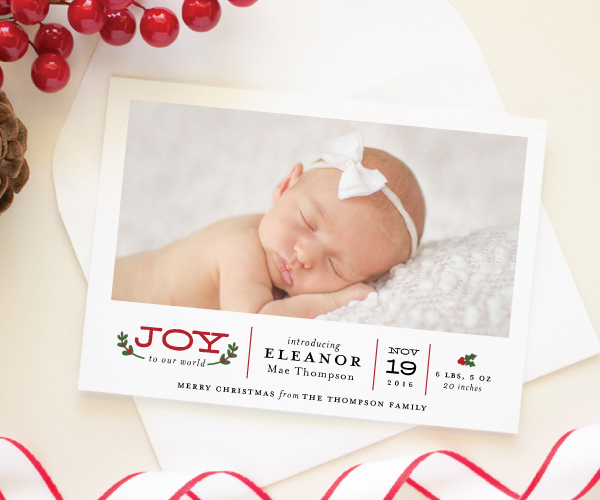 with birth announcement Christmas cards this holiday season. 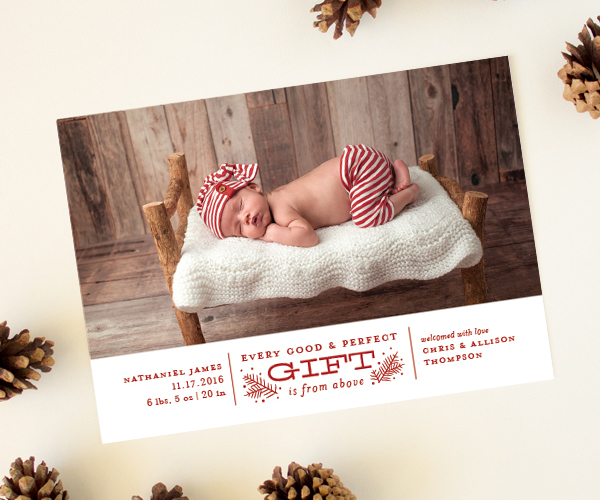 Any of these designs would work as a birth announcement for your newborn, or simply to highlight that it’s your baby’s first Christmas even if they’re not quite a newborn anymore. Have a bundle of joy on the way? 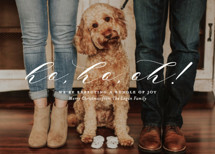 Announce your pregnancy with one of these Christmas pregnancy announcements instead! 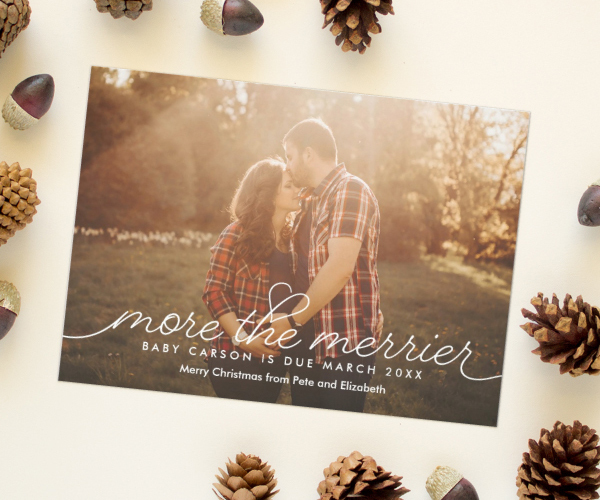 I absolutely love Christmas cards that serve a dual purpose, and these holiday save the dates and newlywed Christmas cards are a perfect example of that! 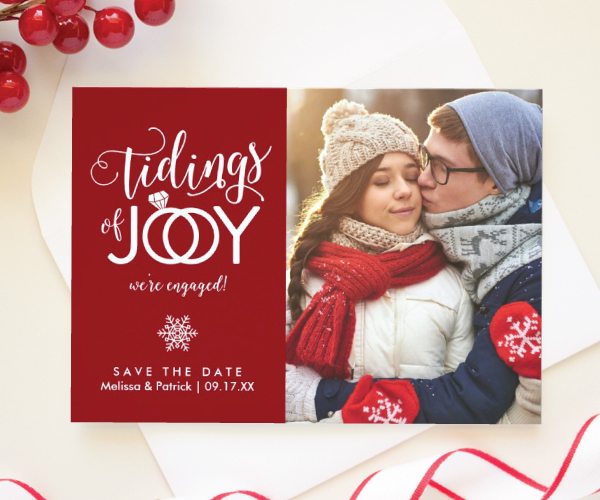 If it works out with your wedding stationery timeline, using your Christmas card as an engagement announcement or save the date is so smart! 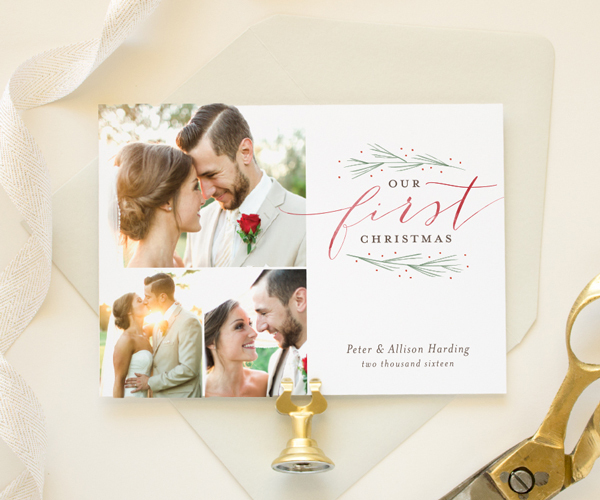 And what better way to celebrate your first married Christmas, than with a Christmas card showing off your wedding photos. 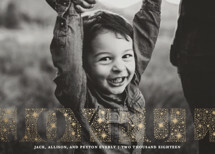 I’m sharing my favorites below, but you can see even more in Banter & Charm’s Zazzle Shop or in my storefront on Minted. If you’re expecting a bundle of joy in the new year, why not share the news of your pregnancy with a pregnancy announcement Christmas card? 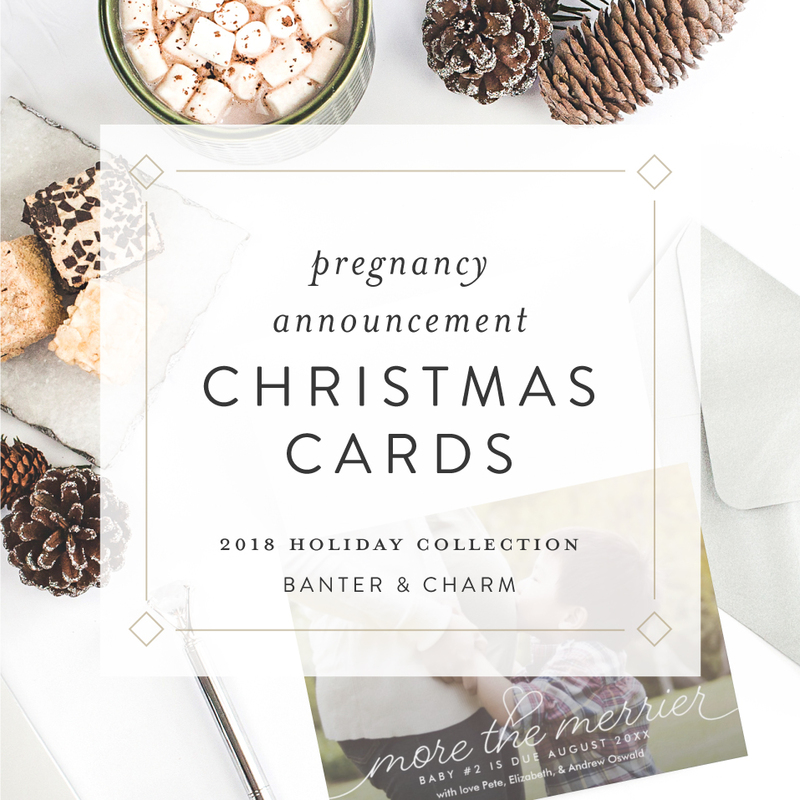 I’ve rounded up my favorite holiday pregnancy announcements below, and many of the designs could serve as a Christmas birth announcement too! Disclosure: This post contains affiliate links. If you purchase items through these links I may earn a commission. 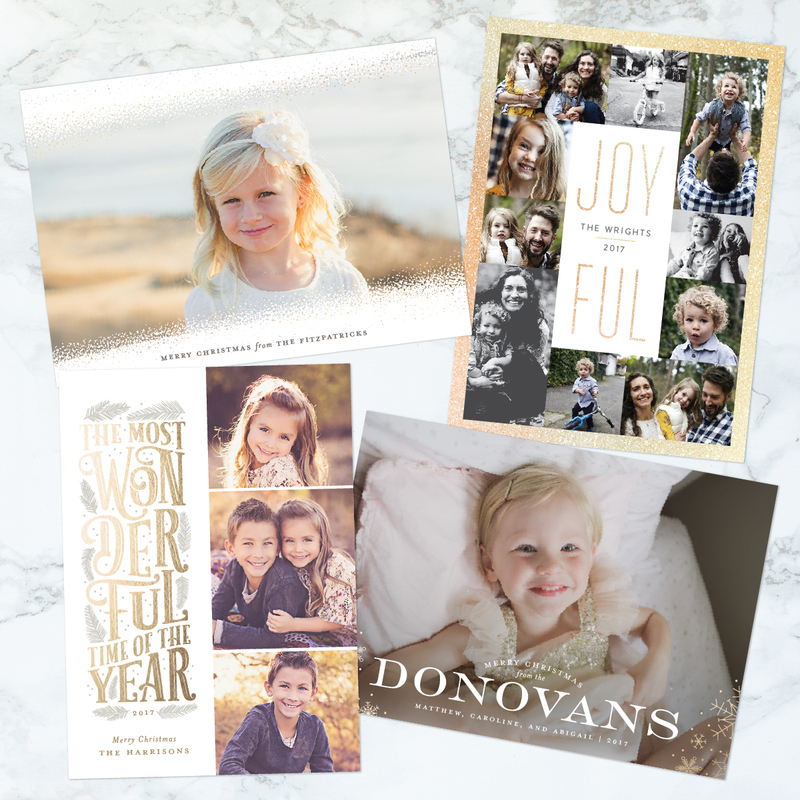 I am also a designer for Minted, although I was not paid for this post – I just love their products! 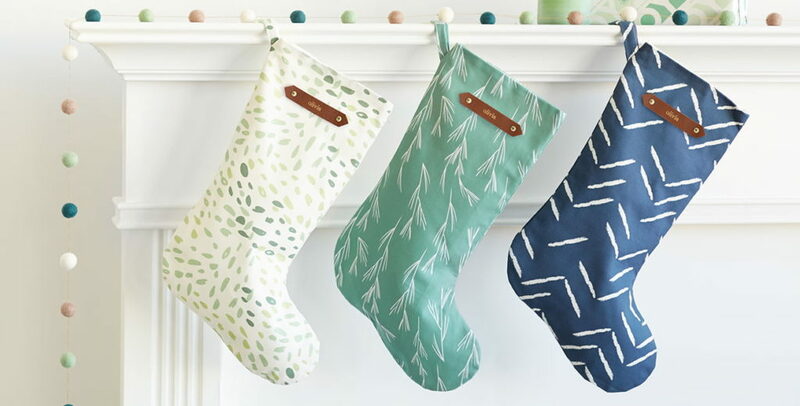 Minted’s Black Friday sale ends tonight! They’re offering 20% off home decor and gift orders with offer code BF2017. Typography based designs are my favorite style to create, so I am excited to share these typographic Christmas cards with you! I know I’ve mentioned it before, but I LOVE Christmas cards that serve a dual purpose. 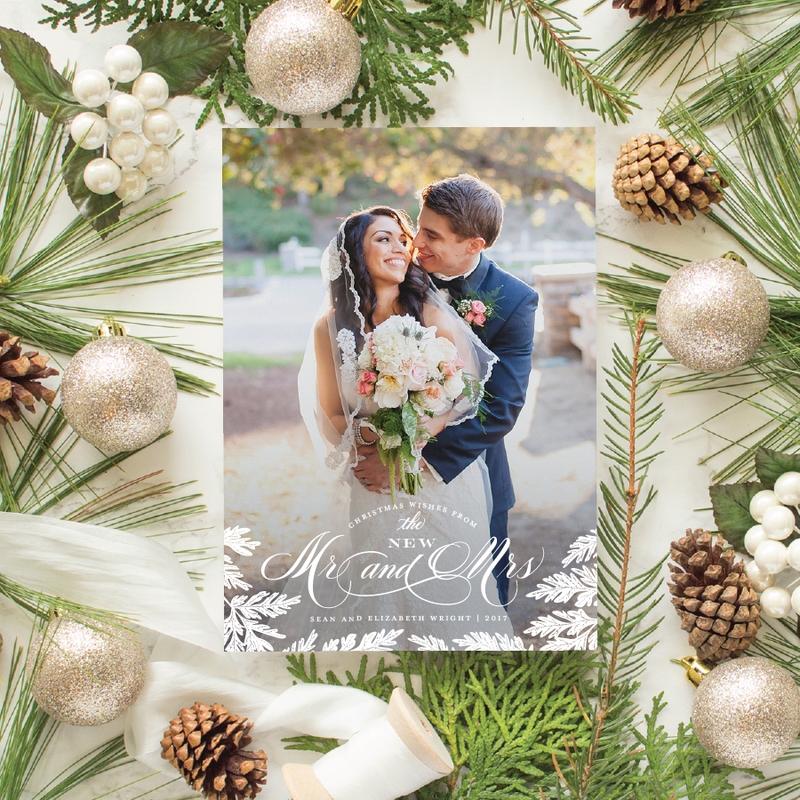 These newlywed Christmas cards do just that – use them as a wedding announcement or to commemorate your first Christmas as a married couple. (They’re also a great way to share some of your gorgeous wedding photos!) 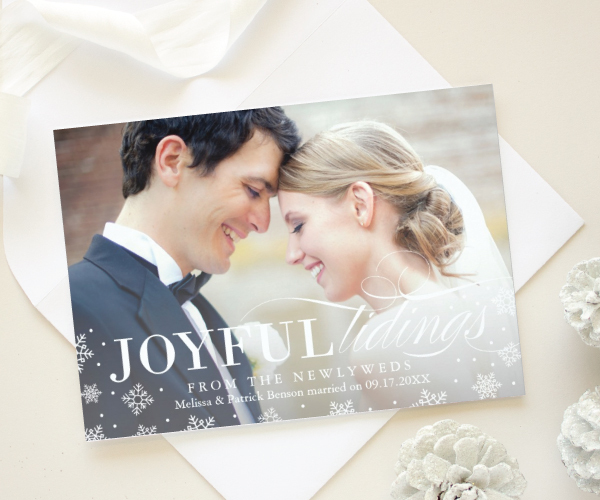 If you’ve never sent Christmas cards before, I love the idea of starting the tradition on your first married Christmas. Think of the person on your Christmas shopping list that you dread shopping for. You know who it is: maybe they have everything, or they’re incredibly picky, or you just want to give them something other than your standard “candle and a bottle of wine” gift. Now raise your hand if you could cross this person off your shopping right now. Then this is for you! 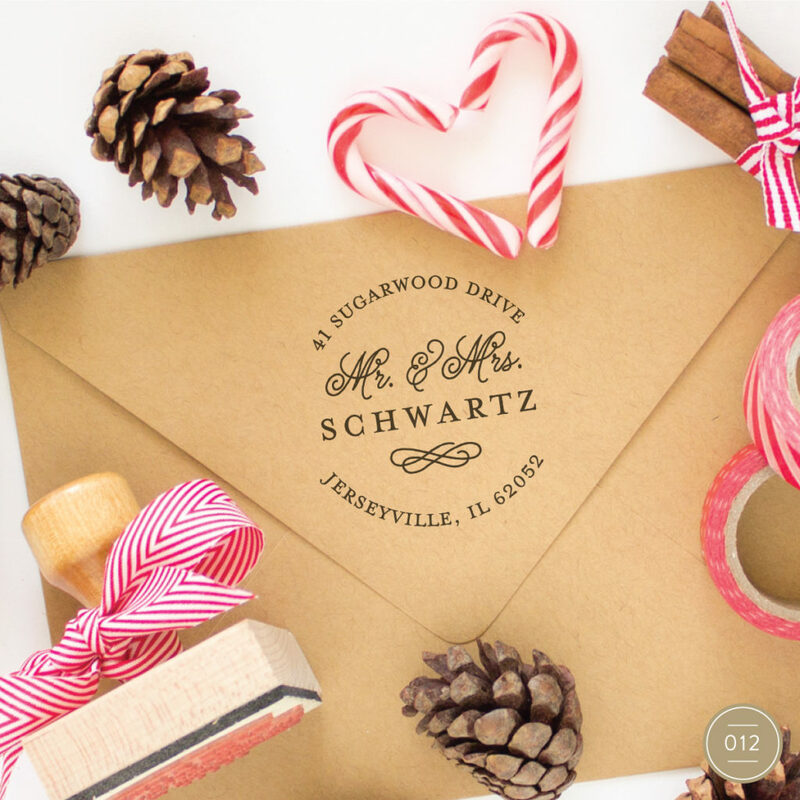 A custom return address stamp is the perfect gift for hard-to-shop-for people on your list. The recipient will appreciate such a thoughtful and personal gift. 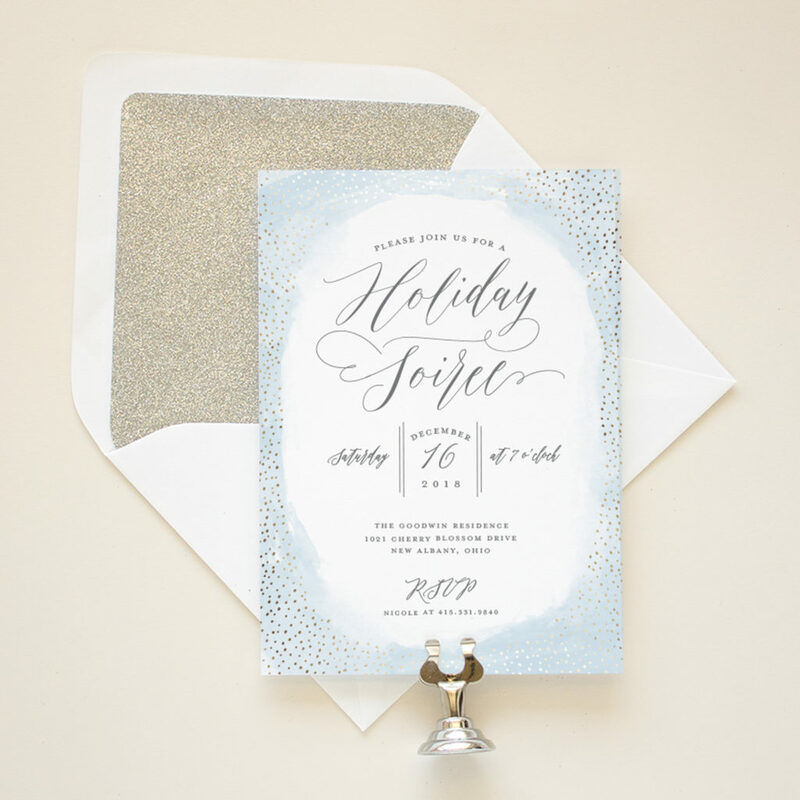 These foil pressed Christmas invitations are sure to get your guests in the holiday spirit! 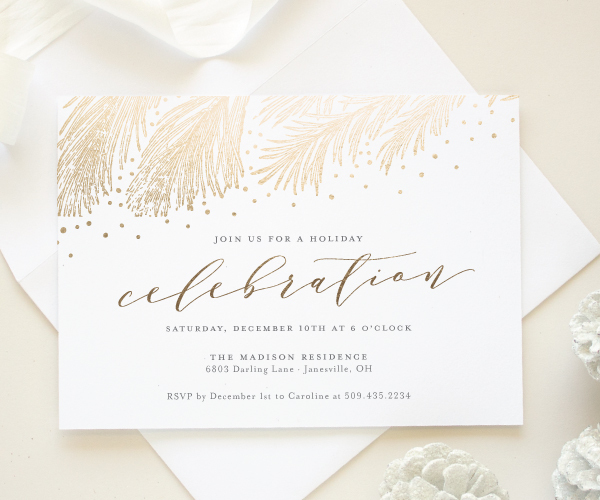 Featuring a foil stamped design in your choice of silver, rose gold, copper, red, or gold foil, these ready to order party invitations are the perfect way to invite family and friends to your annual Christmas party or a corporate holiday event. Just like my collection of foil pressed Christmas cards, while these invitations feature real foil stamping the price tag is smaller and the turn around time is shorter than custom foil stamping. Foil pressed Christmas cards are gorgeous, there is no denying that. 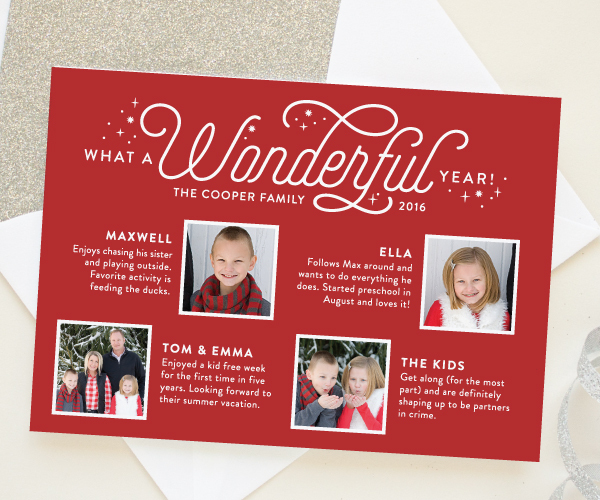 But custom foil stamping comes with a higher price tag than most people like to pay for their Christmas cards. And it takes longer too (and let’s face it, you generally don’t have weeks and weeks to wait for your holiday cards). Those two issues are exactly the reason I’m offering a ready made foil Christmas card collection this year! These ready to order designs feature real pressed foil in your choice of gold, silver, rose gold, copper, or red. This set of funny Christmas cards is sure to spark a smile from all who receive them! 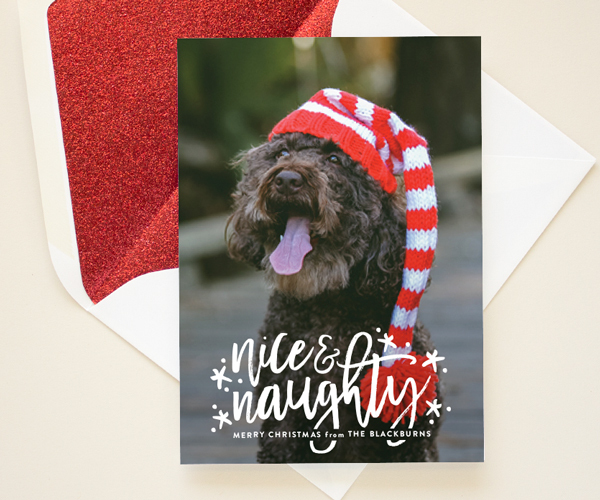 Focusing on a “naughty or nice theme”, all of these humorous holiday card designs are a great way to show off your children’s (or pet’s!) personalities. 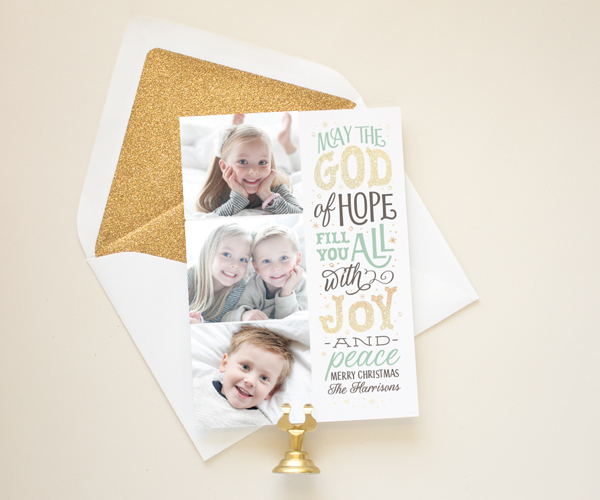 Christmas cards that do double duty are some of my favorite things to design! 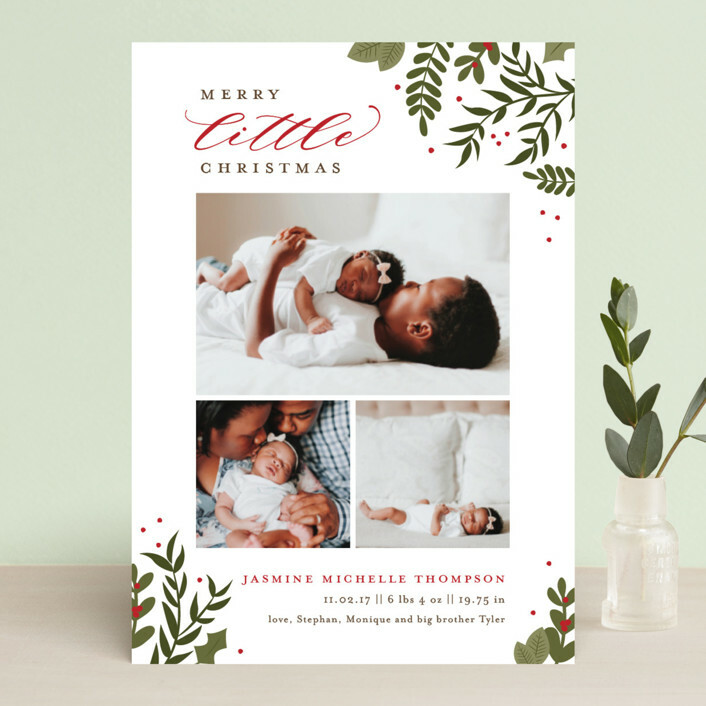 So today I’m sharing some birth announcement Christmas cards (that could also work as a “Baby’s First Christmas” card) to show off your newborn photos and share details of your little one’s first Christmas. 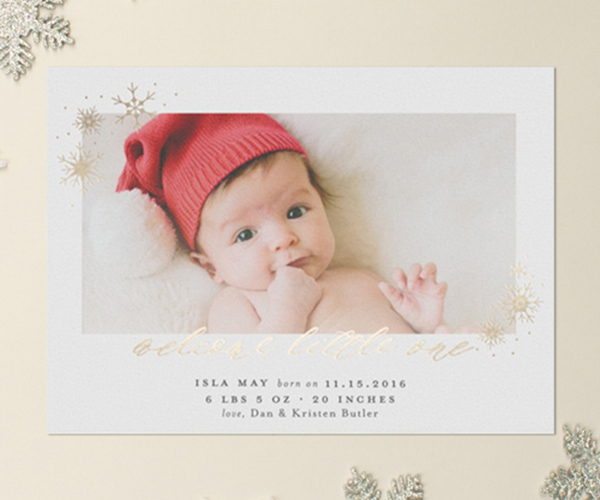 Littlest Christmas features hand drawn winter foliage and three photos of your newborn baby. 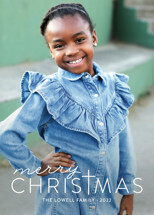 Available exclusively at Minted. 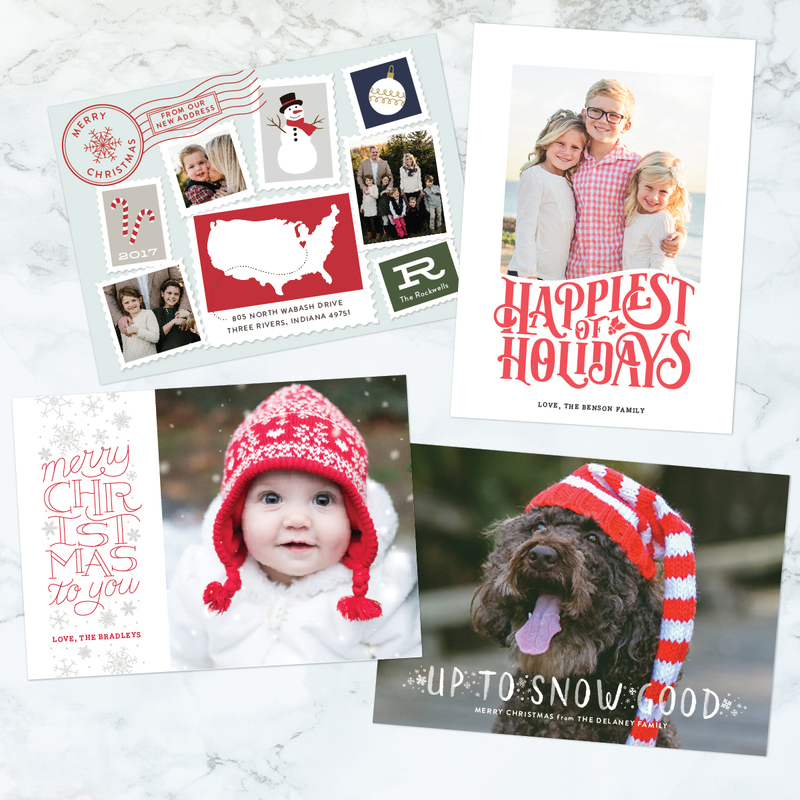 The Christmas card collection is here!! 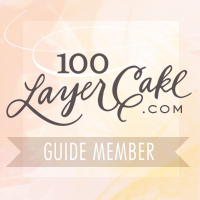 I can’t wait for you to see the options this year- I’ve added some stunning new designs and you can customize more than ever. It’s that time of year – at least if you’re a stationery designer! While everyone else was dreaming of spring, the past few months I’ve been listening to holiday music and watching Christmas movies, trying to get in a festive spirit. Below are some of my submissions to Minted’s contest, and if you have a moment I’d love if you could rate them. Make sure to check out the other submissions as well – the contest is full of gorgeous designs. And if you vote on 50 or more designs by 5/30/17 you’ll receive a coupon code for $25 off your next Minted purchase of $50+. 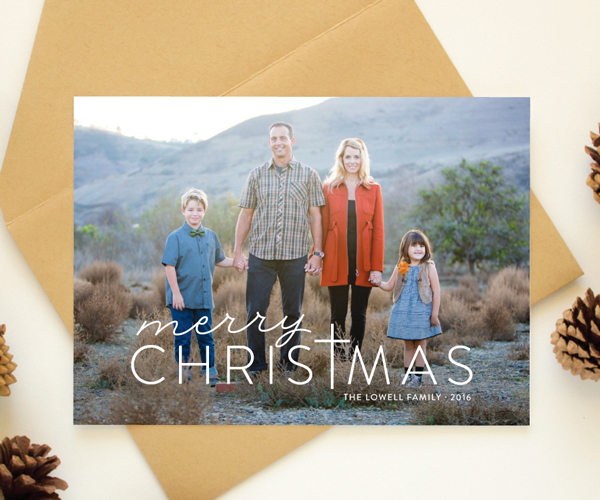 Missed out on sending Christmas cards this year? 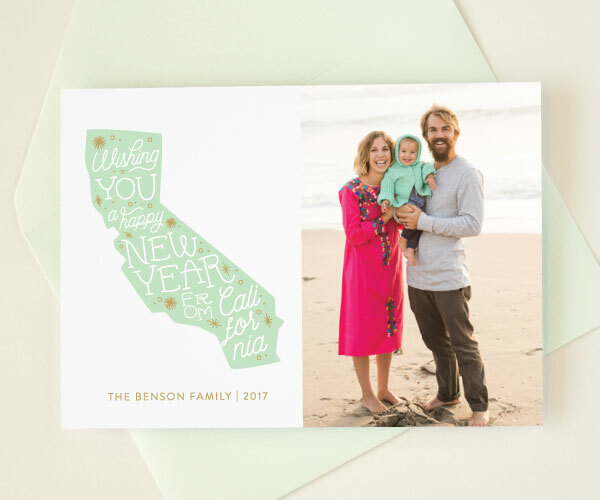 Well, it’s not too late to send a New Year’s card instead! 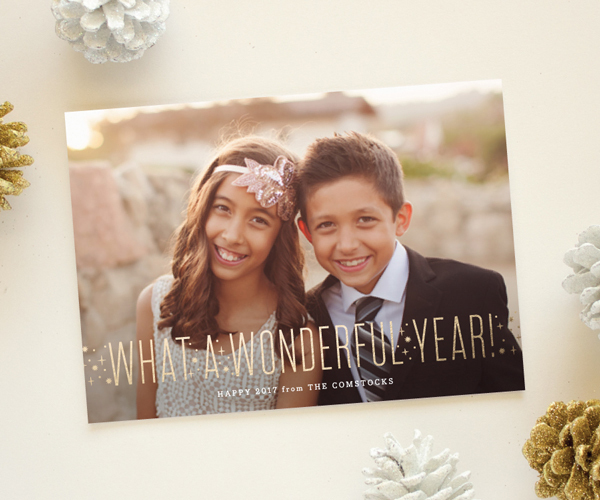 What a Year features a full bleed photo and the phrase “what a wonderful year” in gold foil. 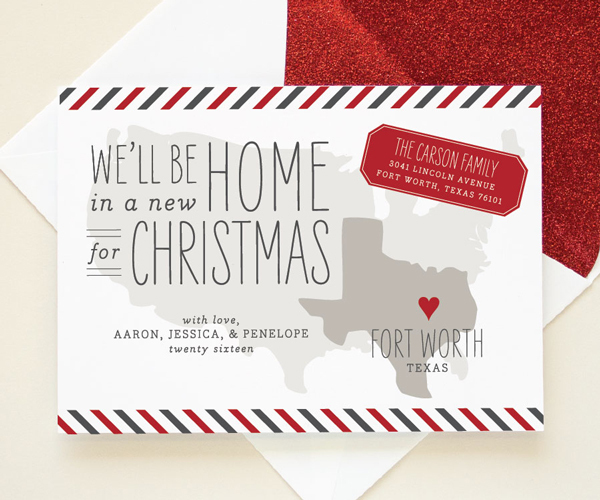 Available exclusively at Minted. The holidays are the perfect time to update your friends and family with highlights from the past year. 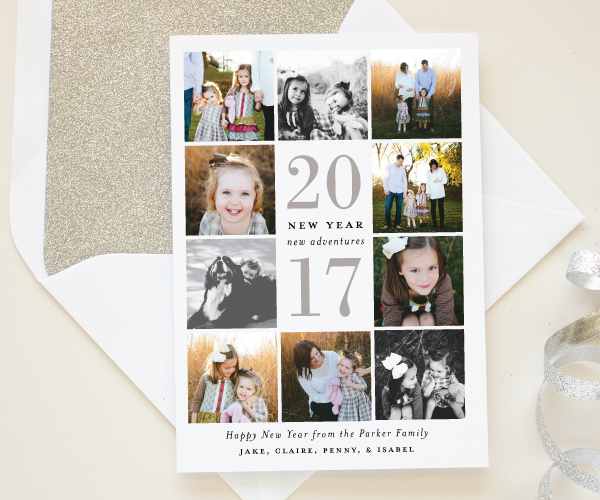 Any of these “year in review” style holiday photo cards would be a great paired with a Christmas newsletter or some of your favorite memories from the year. 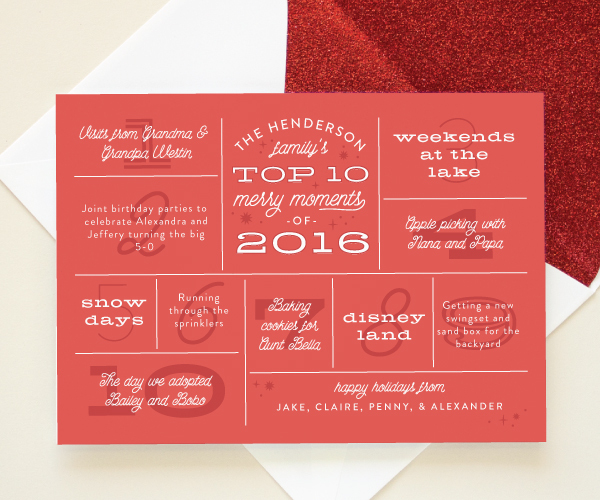 Merry Moments features a fun typographic layout highlighting your family’s top 10 “merry moments” of 2016. 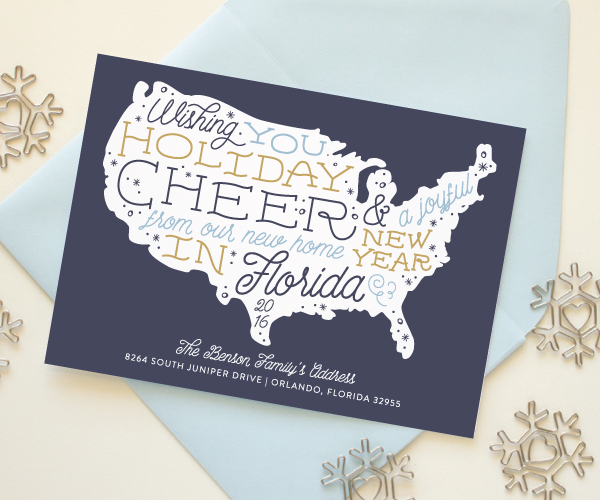 Available exclusively at Minted. 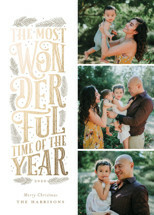 Year of Memories is a newsletter style holiday card with four photos along with space to caption them. 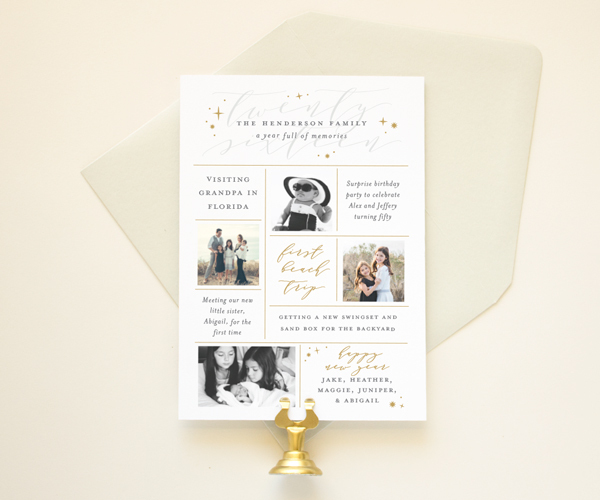 Available exclusively at Minted. 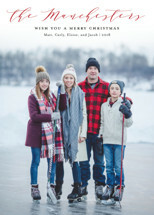 Wonderful Year showcases four photos of your family along with room for a brief update on each family member’s year. Available at Zazzle. Year of Adventures is a photo gallery card with room for ten square photos. The year is highlighted in the center with the greeting “new year, new adventures”. 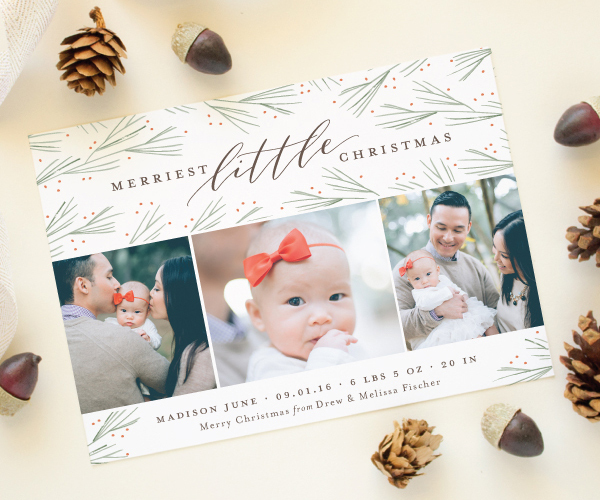 Available exclusively at Minted. This post contains affiliate links. If you purchase items through these links I may earn a commission. 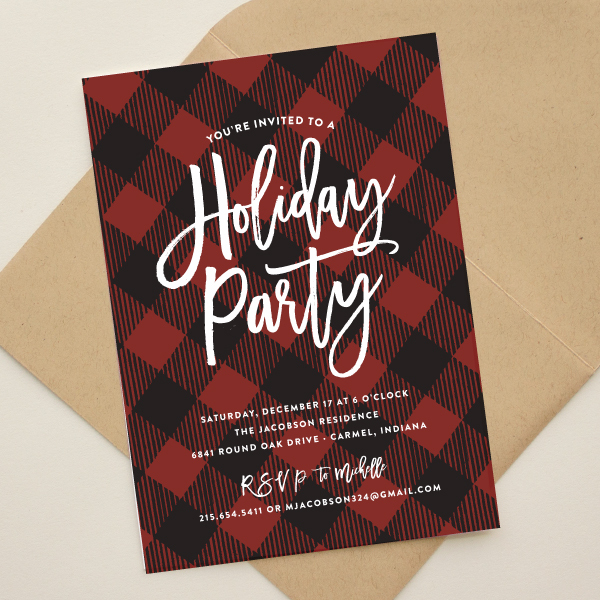 If you’re planning a party this holiday season, chances are you’ll be sending out invitations! 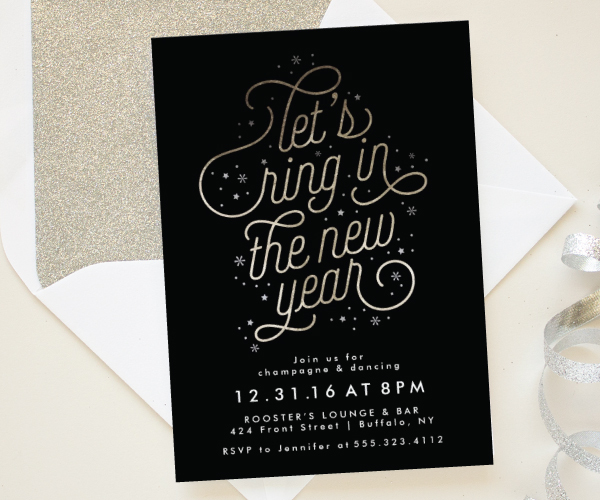 Check out this assortment of party invitations, perfect for your Christmas party, holiday soiree, or New Year’s Eve bash. 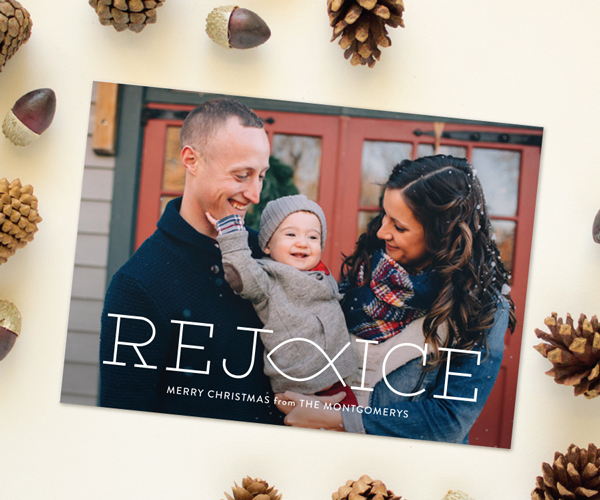 This year, Minted has launched a collection of holiday photo cards that have a religious message. 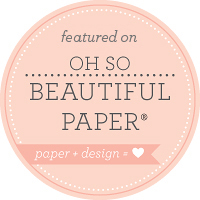 I’m honored to have several of my own designs in the assortment! The God of Hope features three photos and the greeting “may the God of hope fill you all with joy and peace” in hand lettering inspired fonts. 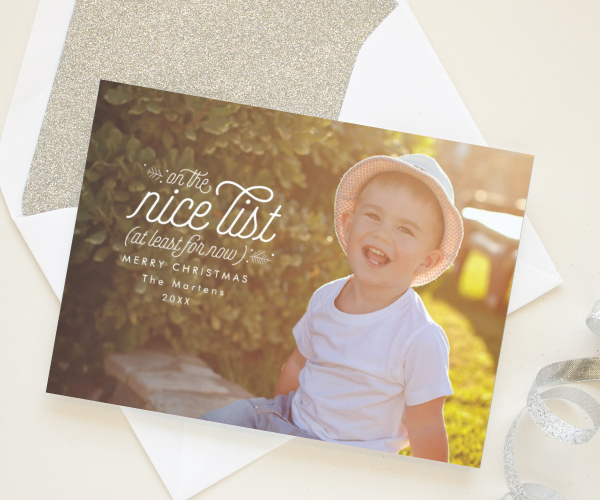 This design also showcases Minted’s new glitter foil for an extra sparkly touch. Merry Crossmas is a simple full bleed photo card, with a cross replacing the “t” in Christmas to emphasize the real reason for the season. 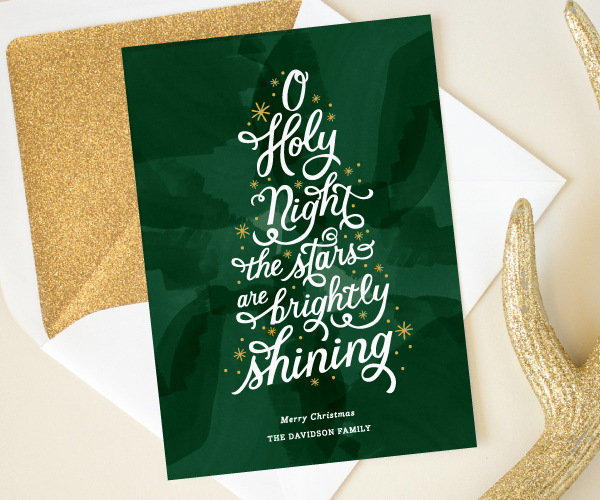 O Holy Night features the wording to that familiar Christmas carol in hand lettering arranged to form a Christmas tree. Rejoice in Jesus is another simple full bleed photo card, but it gets a unique look from the “Jesus fish” (or Ichthys) replacing the O in Rejoice. 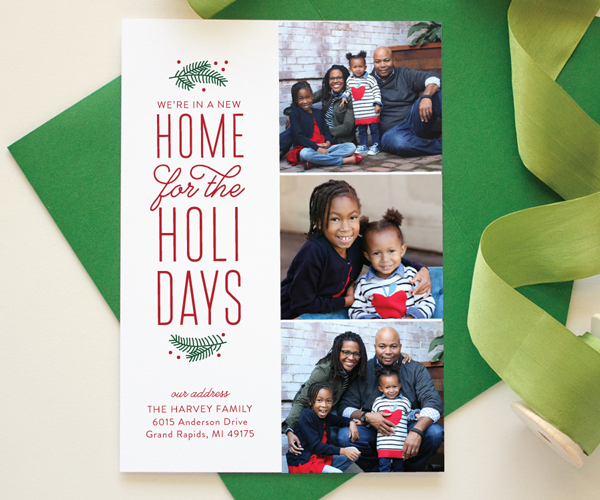 If you moved to a new home this year, your 2016 holiday card would be a great way to share your new address with your family and friends. 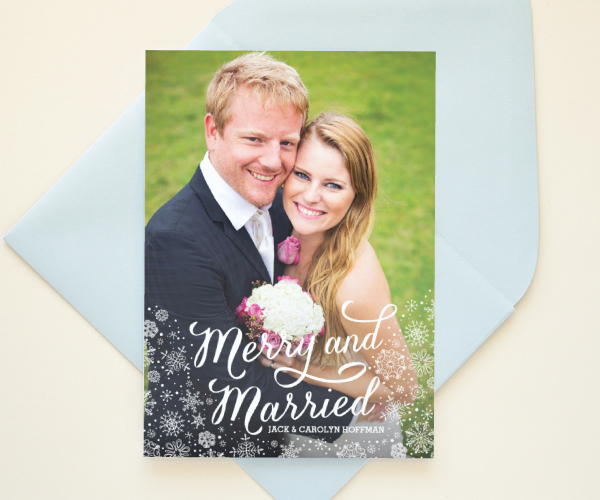 If you recently got married, or are planning a wedding, this roundup of holiday cards is for you! 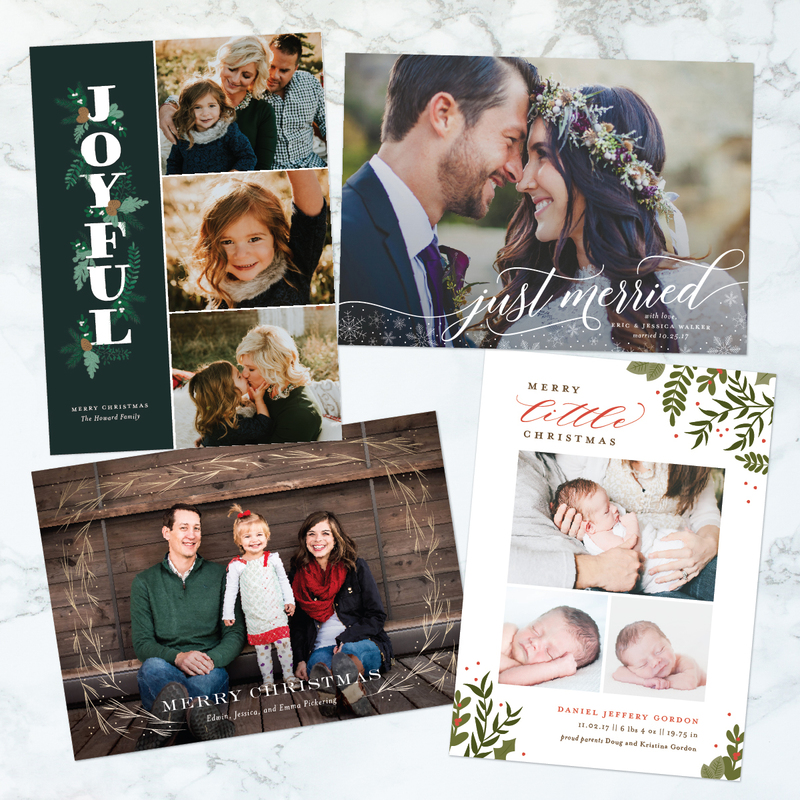 These designs are a perfect way to celebrate your first Christmas as a newlywed couple, or share news of your engagement with a holiday save the date card. 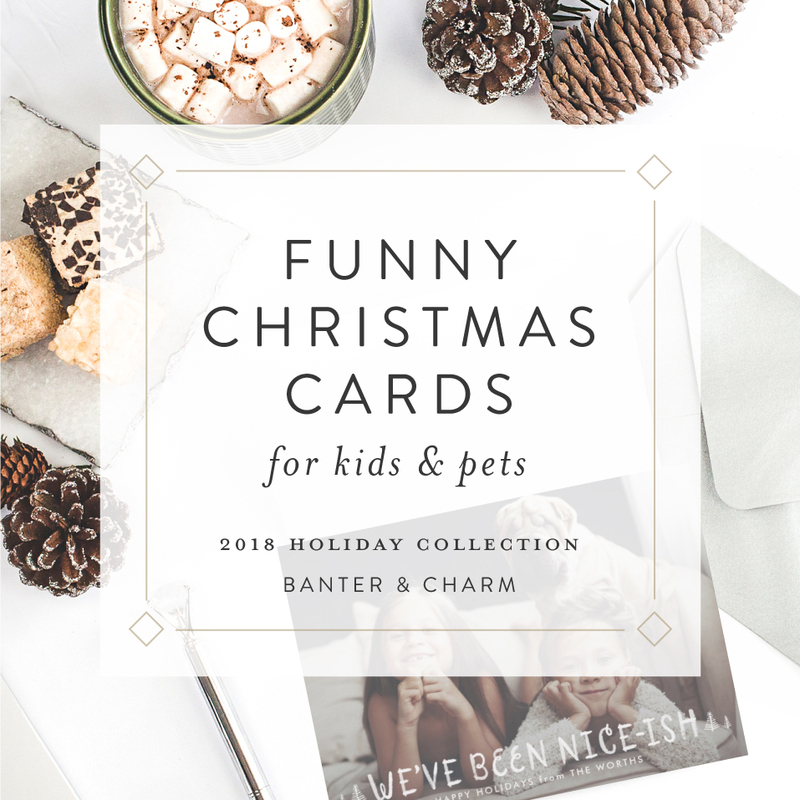 This set of funny holiday cards is sure to spark a smile from all who receive them! 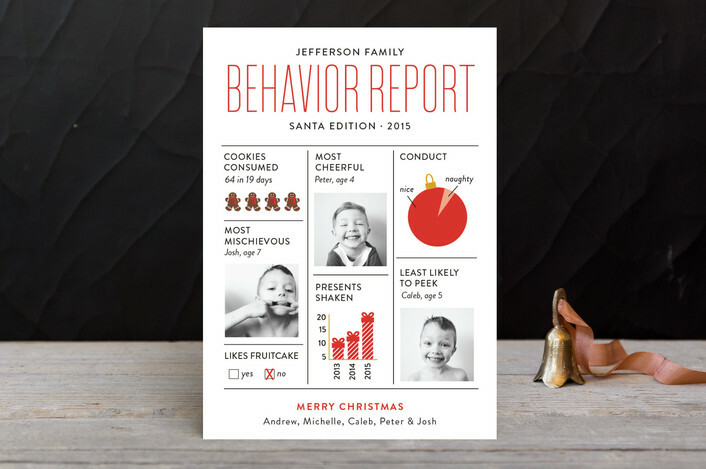 Focusing on a “naughty or nice theme”, and of these humorous Christmas card designs are a great way to show off your children’s personalities. With Baby Brown due any day now, I thought it would be appropriate to kick off the holiday card collection by introducing some of my favorite Christmas birth announcements. 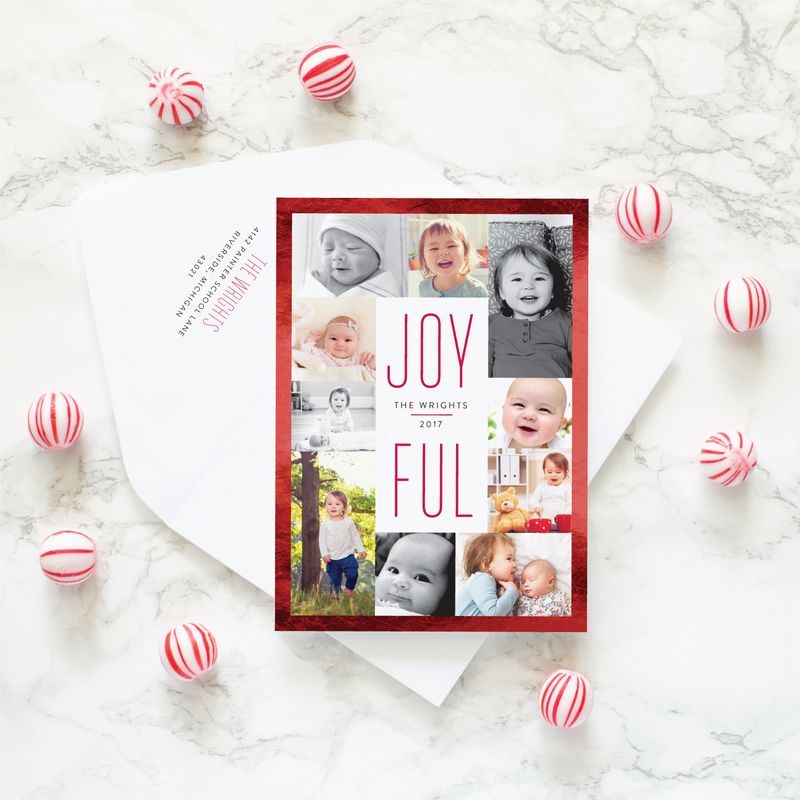 The wording on many of these holiday cards can be adjusted to work for a “Baby’s First Christmas” or as a Christmas themed pregnancy announcement. The weather is finally cooling off (at least here in Michigan), and fall is in full swing. Which means now is the perfect time to think Christmas cards and holiday party invitations! 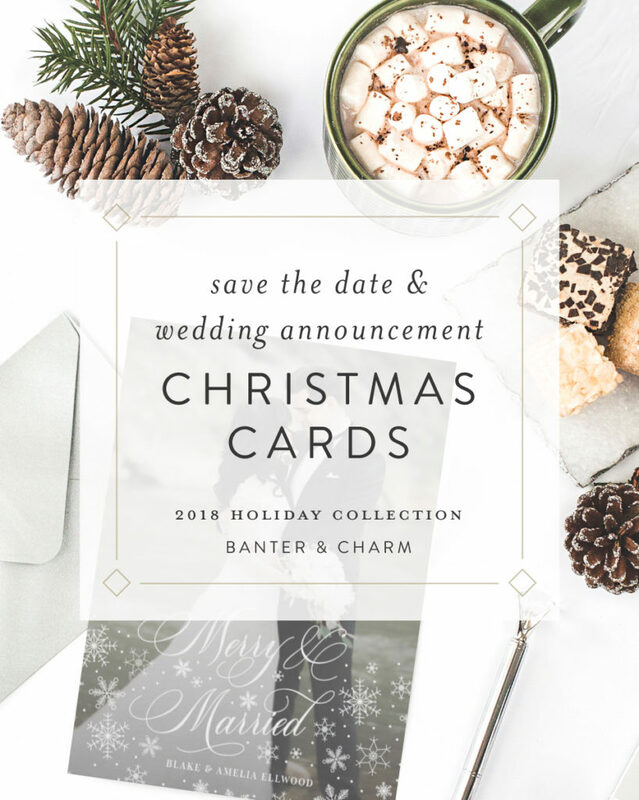 Banter & Charm’s holiday collection is going to work a little different this year. 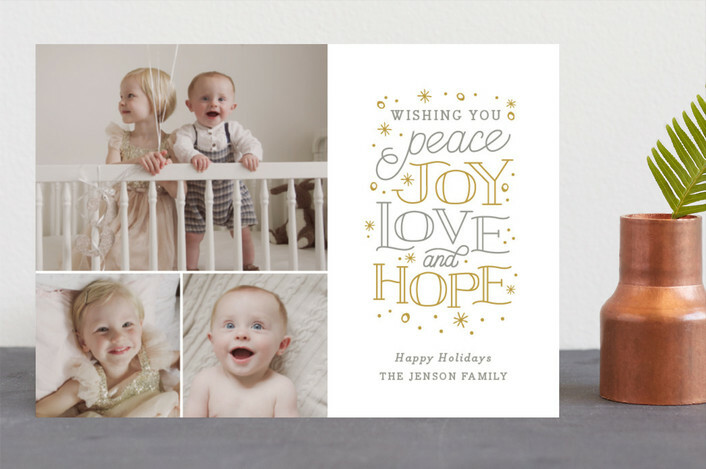 With a baby due by the end of the month, and maternity leave starting October 15, I’m skipping the custom holiday card collection for Banter & Charm. 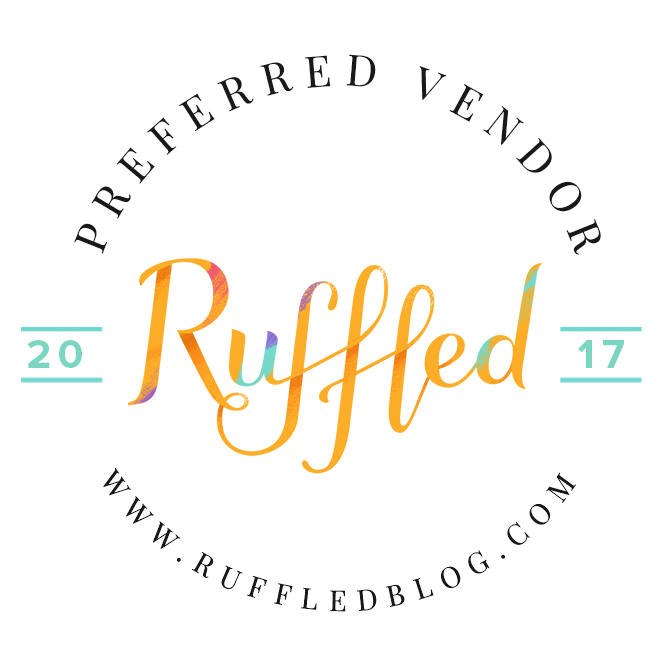 But, I still have tons of gorgeous designs available to order through my storefronts at Minted and Zazzle! My 2016 Holiday card collection is actually bigger than ever, and I’ll be sharing my favorite Christmas cards and photo cards over the next few weeks. 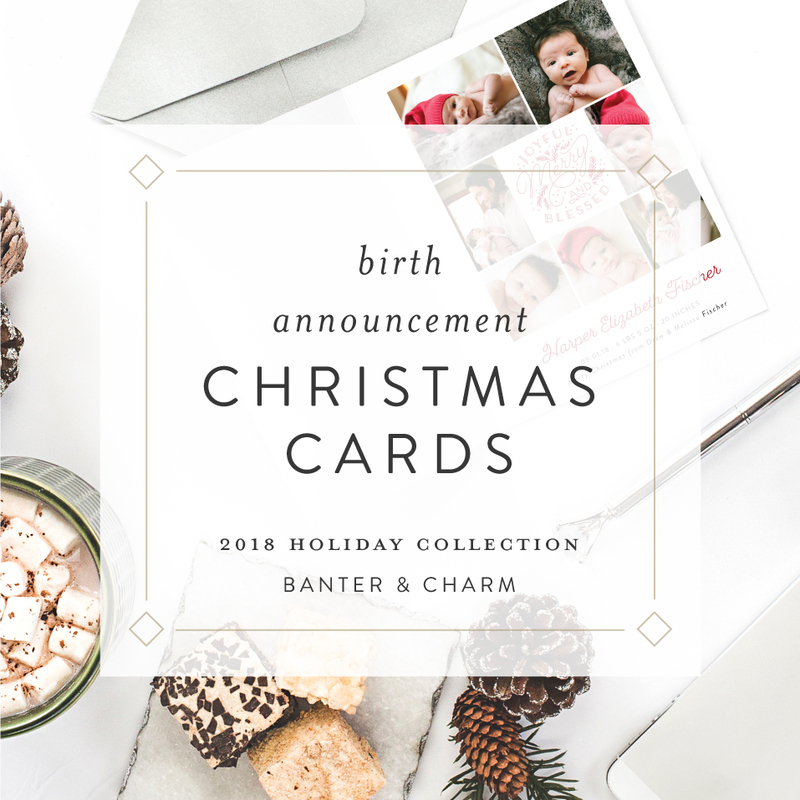 You can visit the holiday photo card page on Banter & Charm’s site to get a preview of the collection, but make sure to check back later since we’ll be adding more designs.